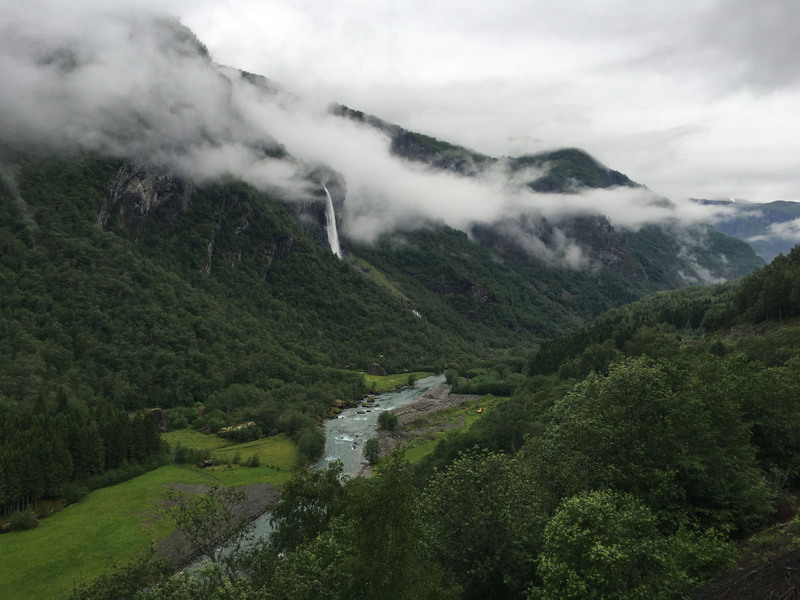 Norway is one of the most scenically dramatic destinations on our planet. 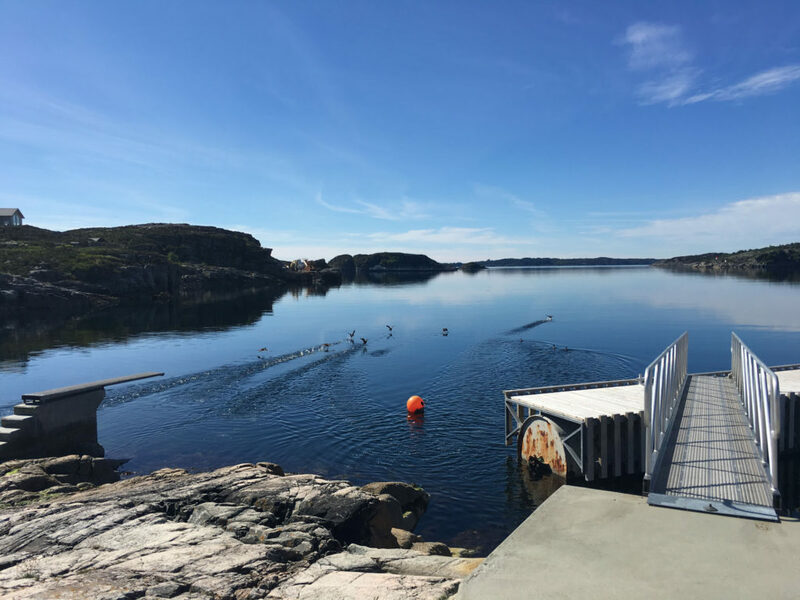 When the sun shines, Norway is a splendid natural beauty. It’s a magical movie set – only real, picture Game of Thrones meets Lord of the Rings…only its too pristine for Hollywood to film here. 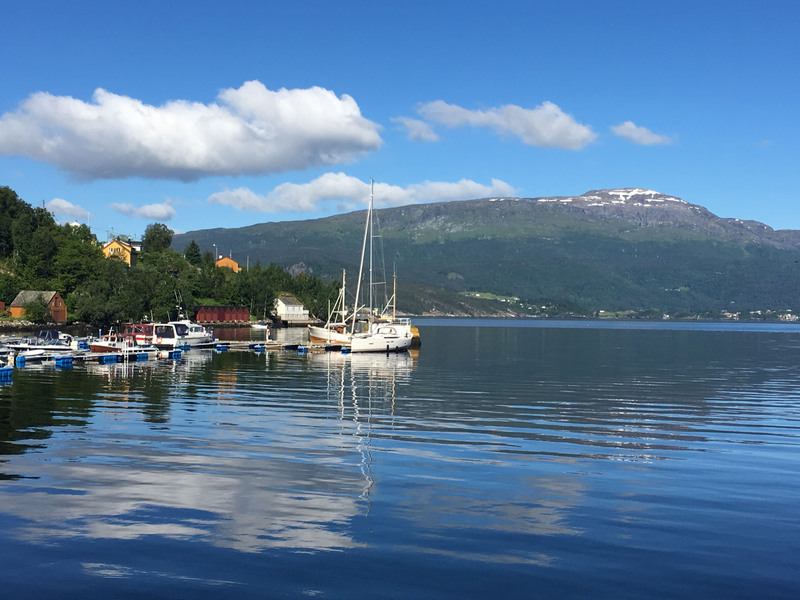 Whether you’re cruising its deep fjords, counting waterfalls, hiking its steep mountains, or exploring its historic but lively cities, this way north (Nor-Way) Scandinavian nation is a must visit. Aside from the raw natural beauty of this Nordic country, another highlight is its people, polite and orderly – helpful and English speaking. Norwegians have tremendous pride and provide a genuine “velkomen” to visitors. The best way to truly see Norway is to boat the deep blue fjords or hike the dramatic mountains that jut from sea level, paddle a kayak or cruise through the magical islands and channels. 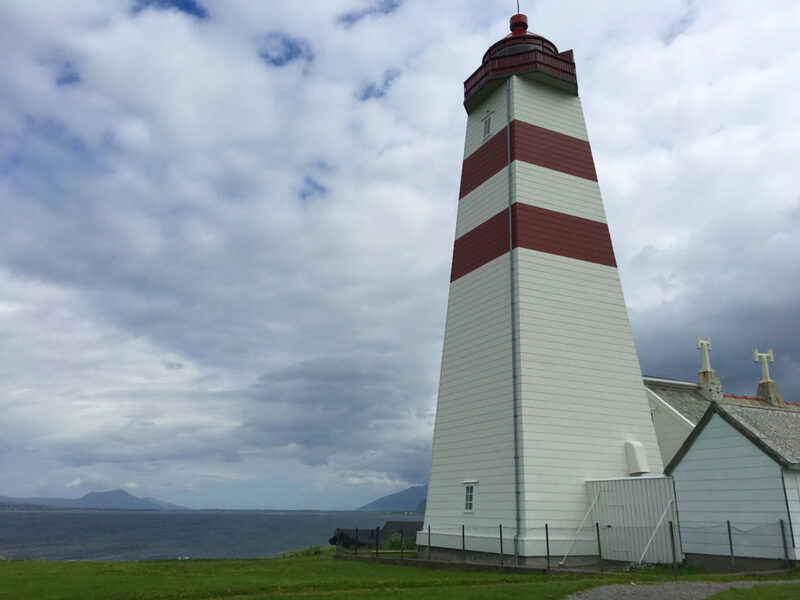 Norway’s west coast is most spectacular with over 200 lighthouses dotting the rugged coast and islands in the North Sea. Brilliant fjords reach deeply inward from the sea, waterfalls plummet thousands of feet over sparkling granite, through lush steep forests. These soaring jagged peaks are capped with snow, and glaciers, even in summer. 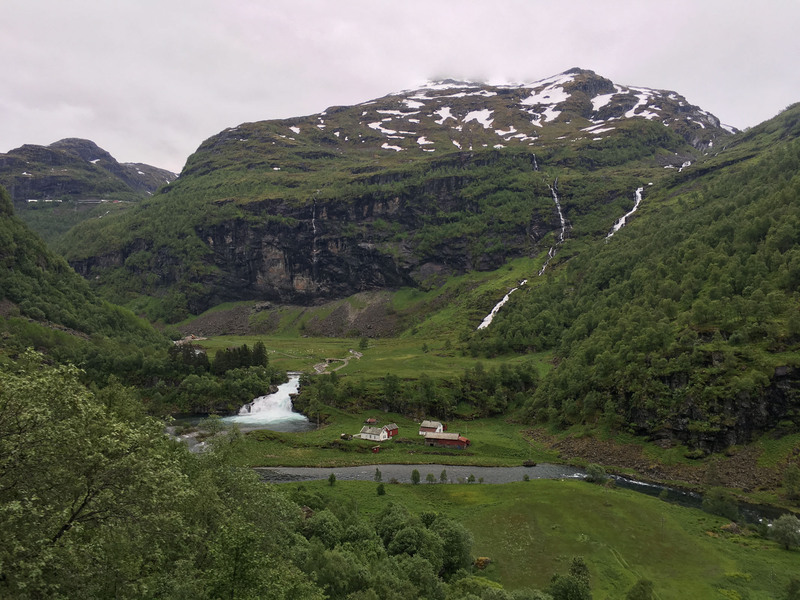 Driving Norway is exciting, yes roads can be narrow and under water tunnels long… but the roadside scenery is rewarding. 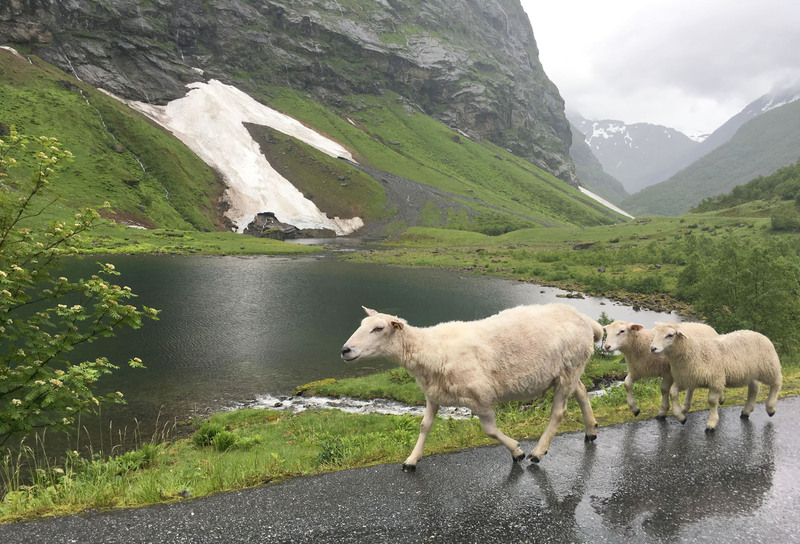 The Trollstigen near Alesund is the most jaw-droppingly scenic drives in the world. Climbing switch-backs you are surrounded by crashing waterfalls, too many falls to count. The contrast of cascading foam down towering peaks blanketed in lush flora and fauna is fantastic. As you peer to the summit, you see snow-capped peaks. Stop at each scenic overlook for selfies – Norway Tourism offers surprisingly modern visitors centers with glass platforms and amazing architecture – juxtaposed perfectly with the ice age natural formations. 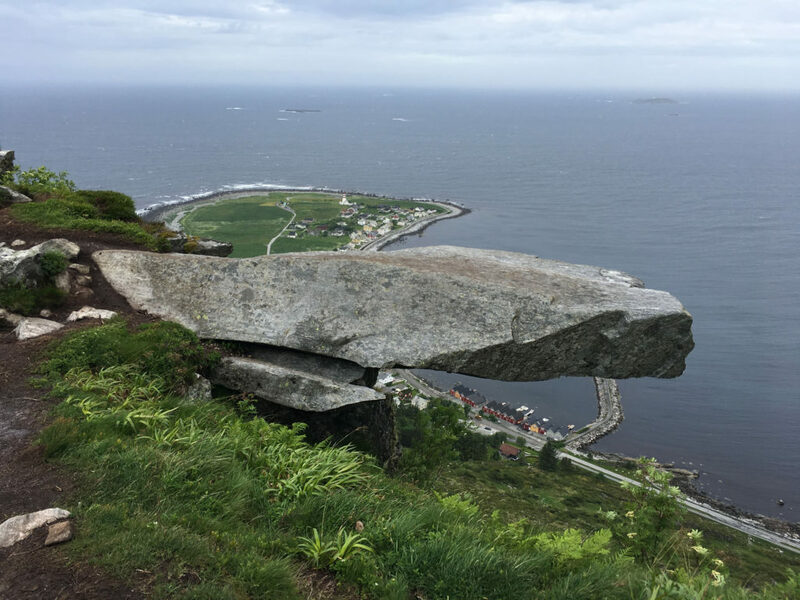 You just must see The Troll Path (troll-stigen) to believe it, regardless of whether you believe in Norway’s legendary trolls. 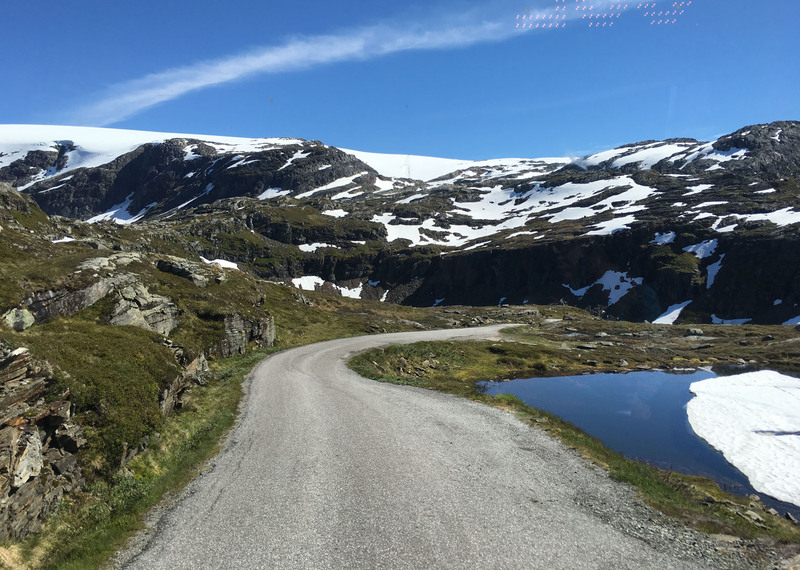 Explore Trollstigen very early or late in the day to beat the tour buses that clog the steep curvy narrow roads. Norway is a tidy country and the cities are a perfect example of the neat orderly culture. 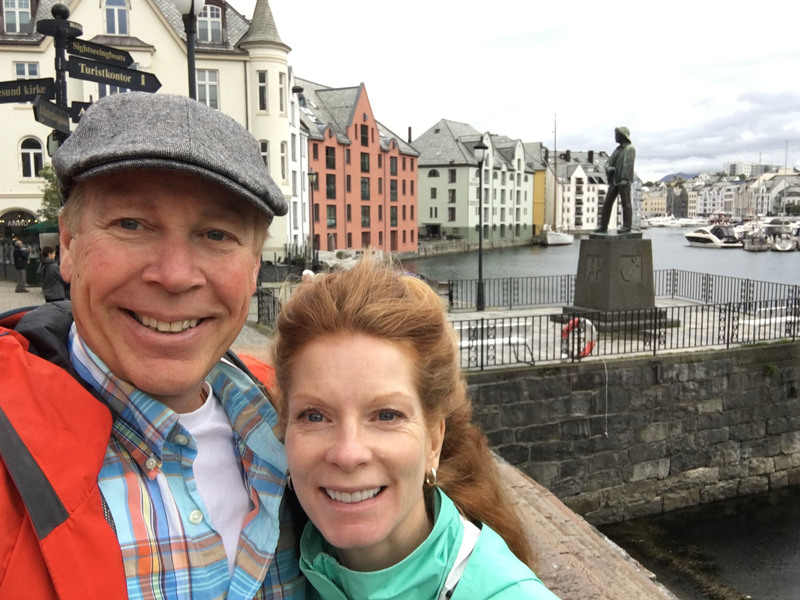 Alesund and Bergen are both captivating and so photogenic from the brightly color-washed buildings to the canals that ply through the towns. 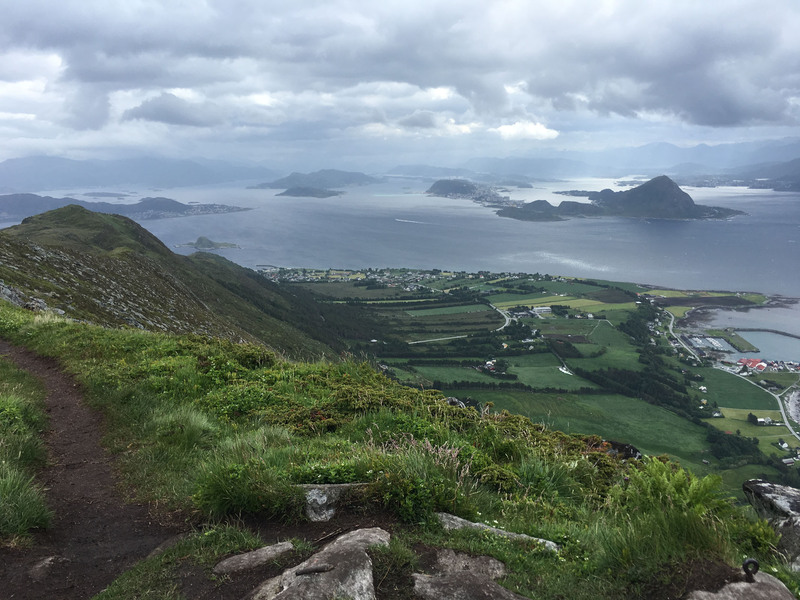 Alesund and Bergen both offer hikes and boat tours so its the best of both worlds, hot spots for cuisine, culture and live concerts, plus nearby adventuring. 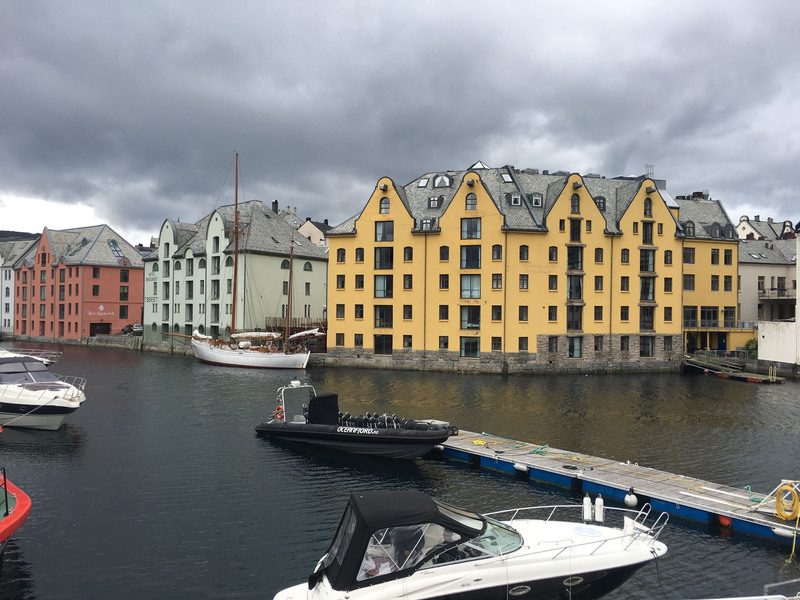 Our favorite, Alesund, is a short flight from capital city Oslo, and worth it! Dubbed Norway’s Art Nouveau, this charming seaside village was completely rebuilt after a devastating 1904 fire. The result: beautiful and perfectly walkable. 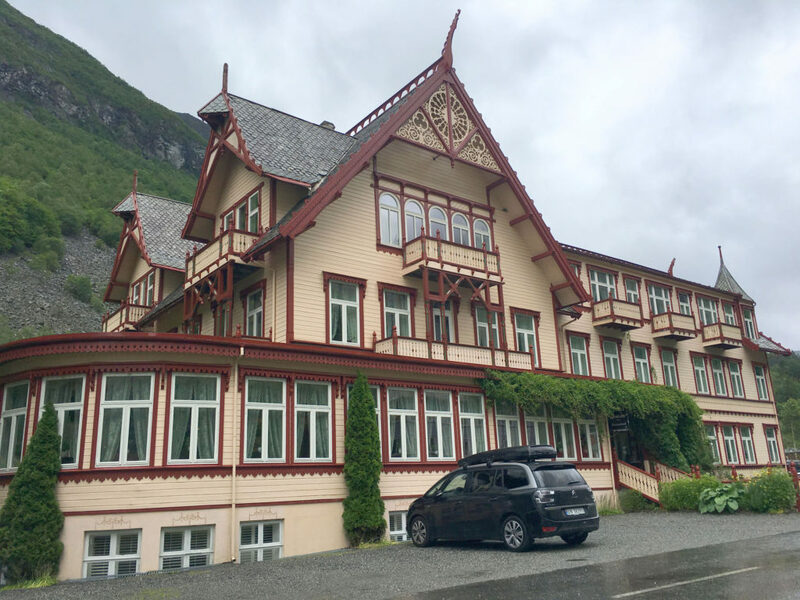 Stay at Hotel Brosundet in the heart of Alesund on the waterfront, with luxe furnishing made from the old docks. 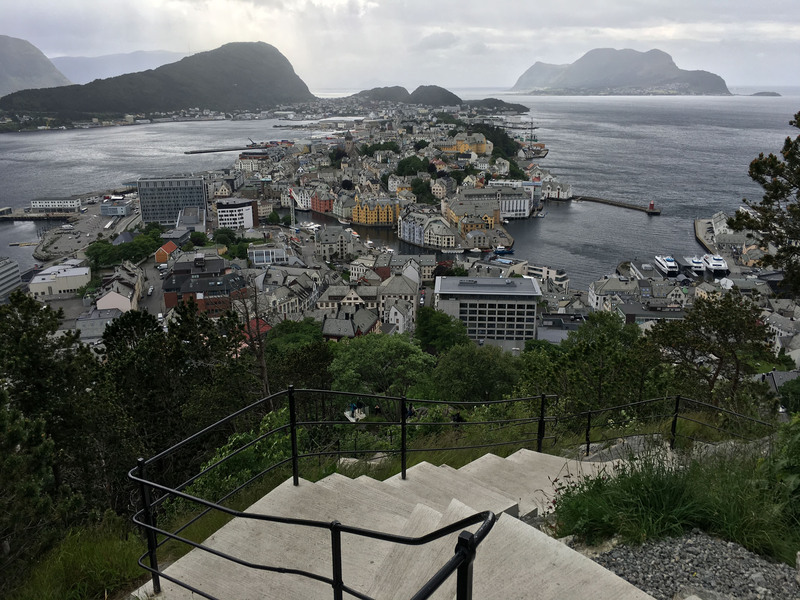 Sit in your room overlooking Brosundet canal, or explore town and climb the 418 stairs to Aksla for an amazing panorama of Alesund and outlying islands. Hotel Brosundet’s parent company 62Nord can plan excursions by water from their docks, or recommend hikes – like Godoyfjellet Mountain up the strenuous “Storhornet” for unbelievable views to the North Sea and around a high alpine lake on Godøy Island. 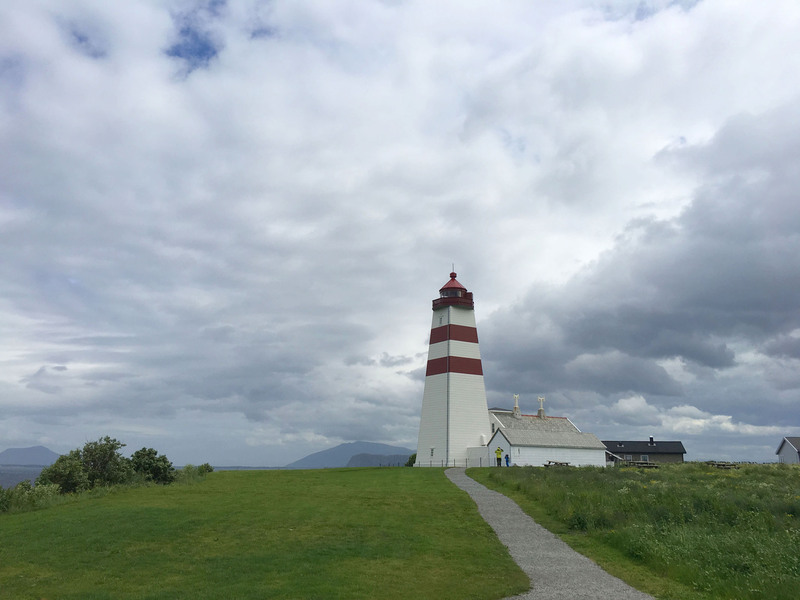 From here visit Alnes lighthouse for lunch in the impressive restaurant gazing out to Sea. Nowhere else on earth are such fantastic fjords, where skyscraping peaks dive deep into crystal blue canals from the sea. The result is otherworldly, with waterfalls galore, gorgeous veils of frothing water plummeting thousands of feet. 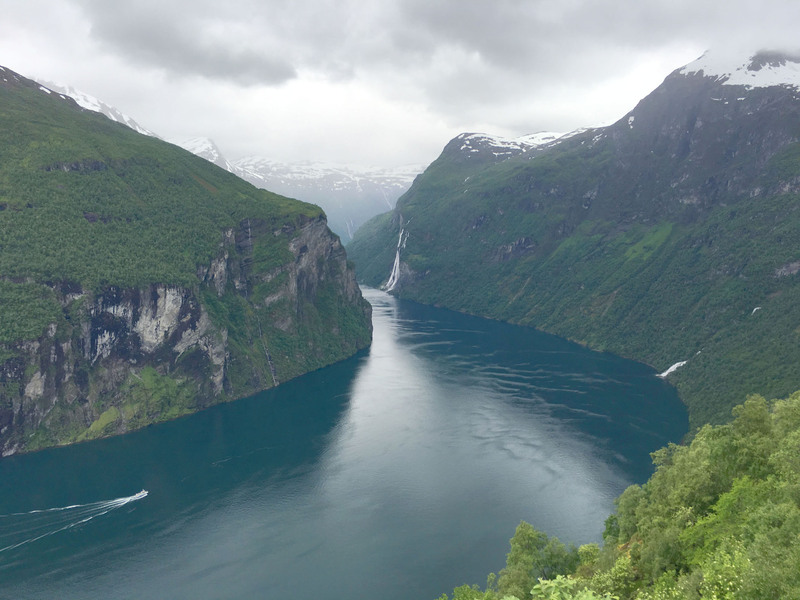 Geiranger Fjord, Hardenger, and Sognefjord are top fjords in the world. 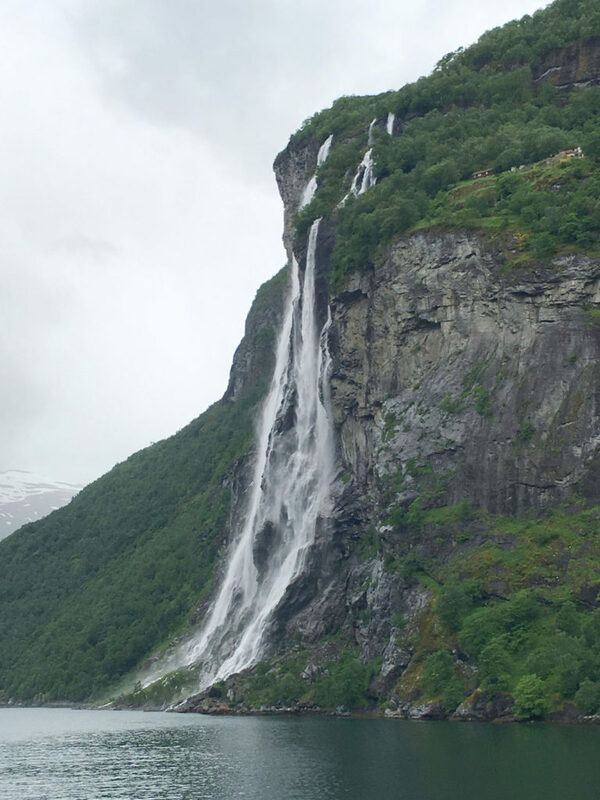 Take the ferry from Geiranger to see dozens of spectacular falls – including the unbridled Seven Sisters. Stay at the luxury Hotel Union Oye near Hellysylt, a stately 1891 hotel of kings and queens (haunted? ), with a view of yet another waterfall-filled Hjørundfjord. 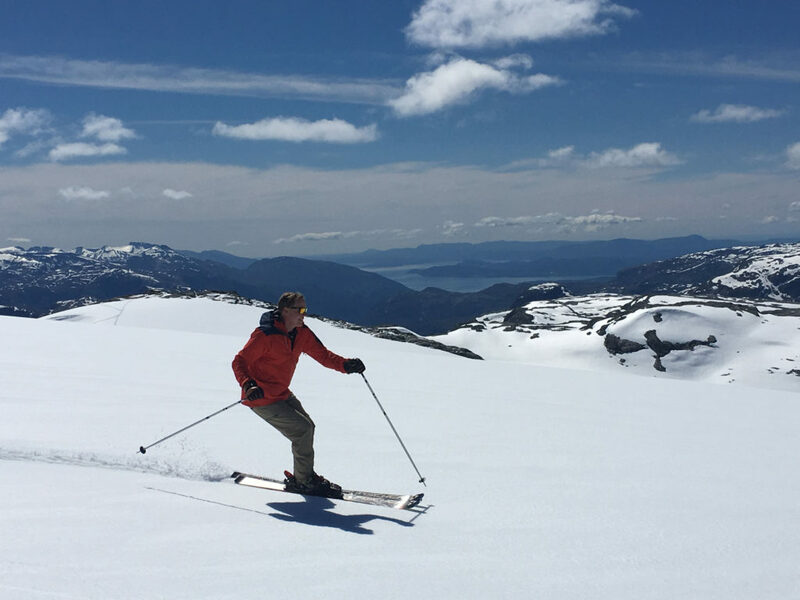 Hike the strenuous Slogan Alp (1564-meters straight up from sea level), kayak the narrow fjord, or relax in royal comfort in the cozy fireplace lounge. 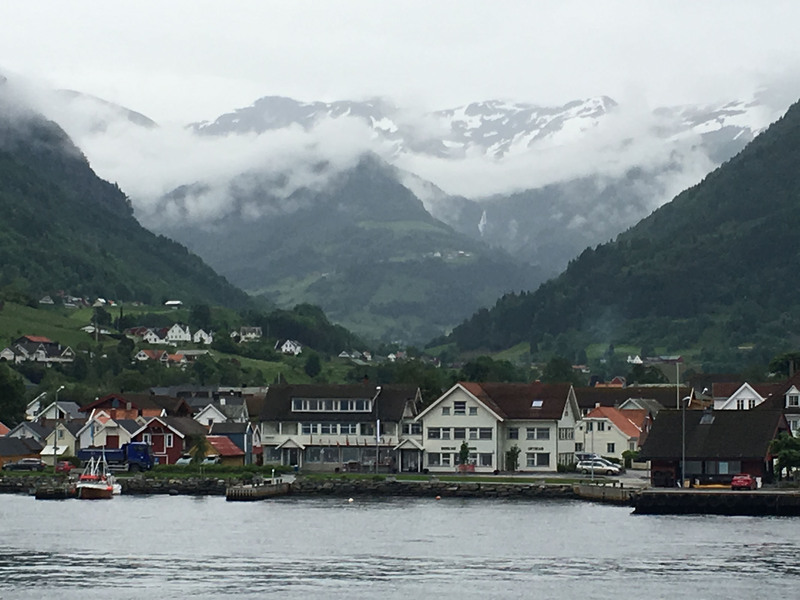 Bergen is bright and beautiful – and we are not typically big city fans. This waterfront town is colorful and fun, historic, an offers hiking and expeditions from its waterfront. 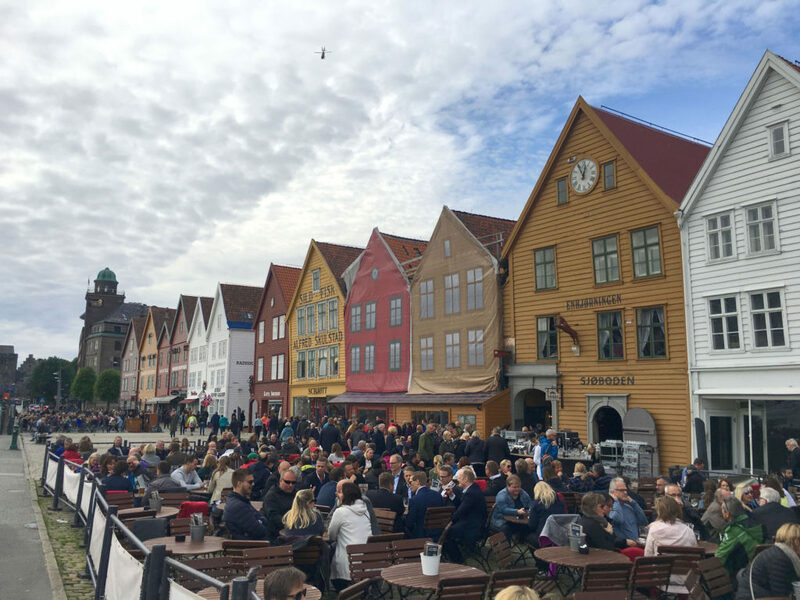 Bergen is the gateway to Norway’s Fjords so it’s a perfect base for day trips via ferry or train, retuning to this lively seaside city at night. 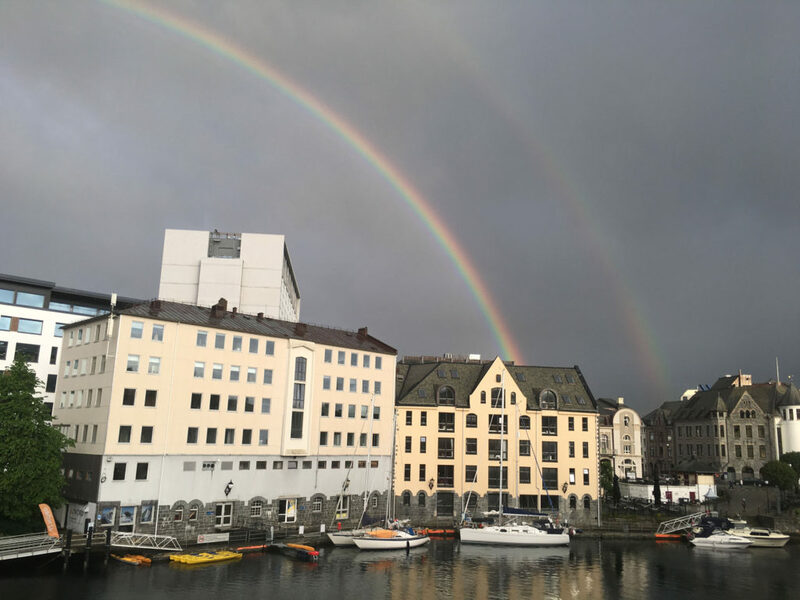 Fun things to do in Bergen, visit the fish market, explore Bryggen Wharf and its medieval wooden houses, walk the winding and narrow back streets, take the 8-minute funicular up Mount Fløyen for great views, or just dive into art museums (Kode exhibits 1-4 include Dahl, Picasso and Munch). Bergen was named Europe’s Cultural City in 2015, and host 60+ fests and concerts annually. Just grabbing a drink at an outdoor cafe on Bryggen Wharf is a treat (they provide blankets and sheep skins on cool evenings). Bergen does get its share of cold, rainy weather. 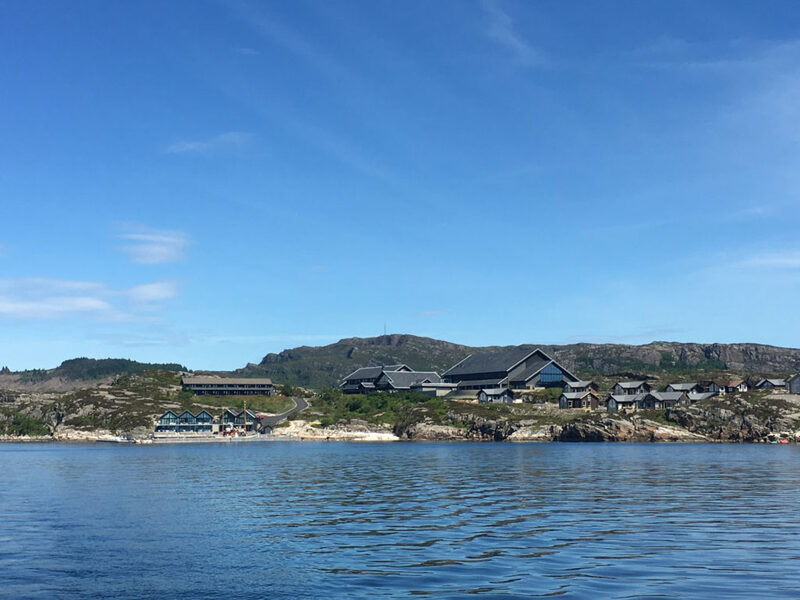 Dine at the classic old Enhjøringen (unicorn) on Whale carpaccio, or seek out the modern contemporary Spisekroken and Bare Vestlund for tapas style local seafood and lamb. Bergen is a seven-hour train ride west of Oslo, or an hour flight from Alesund. 6. 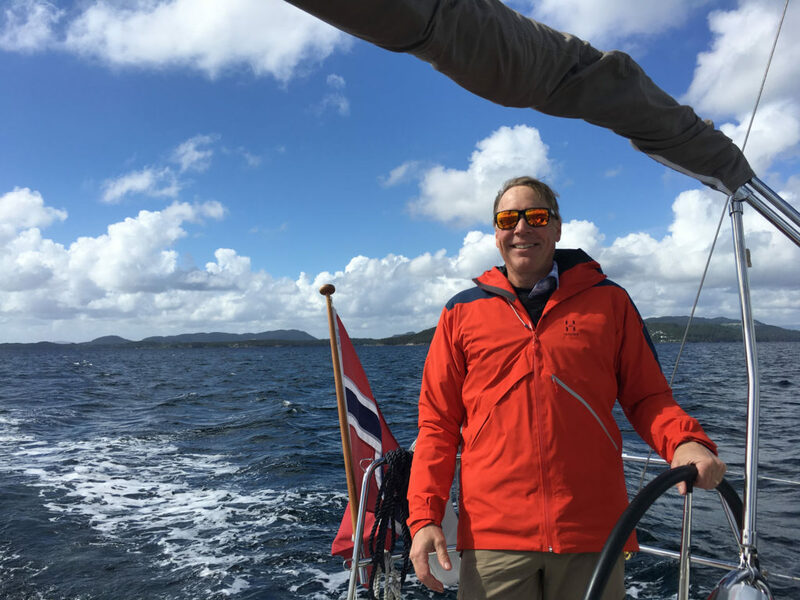 Hey Norway – Easy-breezy, safe and happy! 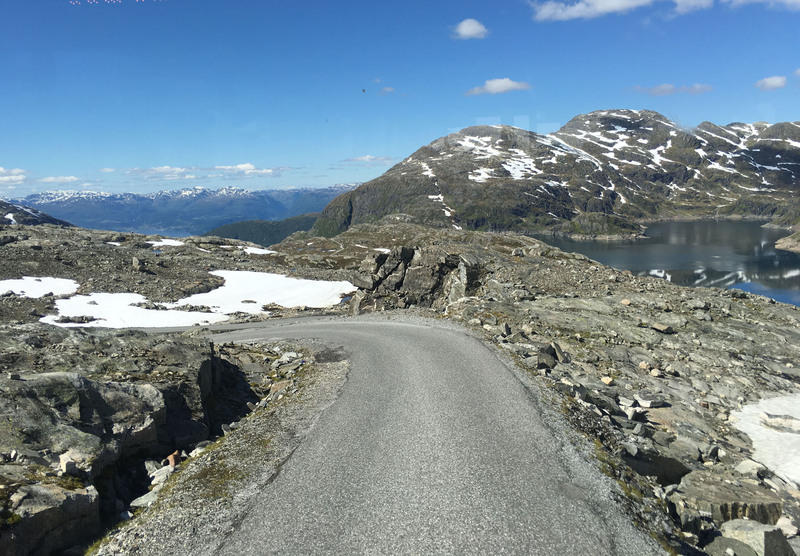 Thanks to Norway’s English education, frequent sign translation, and an overall attitude of helpfulness, visitors will find Norway accessible and modern with Wi-Fi and ATMs, and efficient for transportation – even the buses. 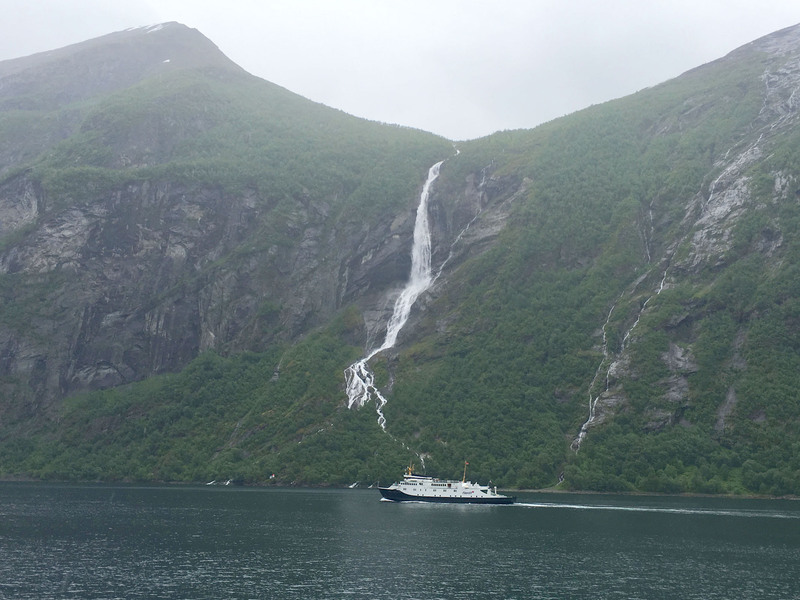 Norway’s ferries ply the water like clockwork. Long underwater tunnels shuttle cars swiftly from peninsula to outer islands, designed to be out of sight so as not to disrupt your scenery. Norway is also safe, with a super low crime rate, and high happiness. The UN World Happiness Report of 2013 named Norway #2 behind Scandinavian sister Denmark, in swank company with similarly scenic Switzerland. 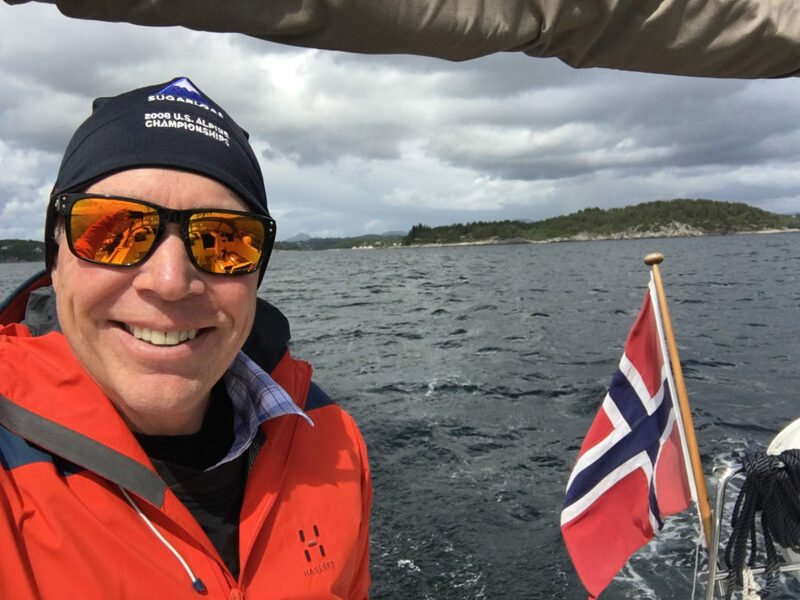 Socialism works in Norway, because of strong national pride, everyone’s paddles are in the water rowing, contributing to the greater good. The nation is rich in natural including big oil (so socialism is backed by big capital). 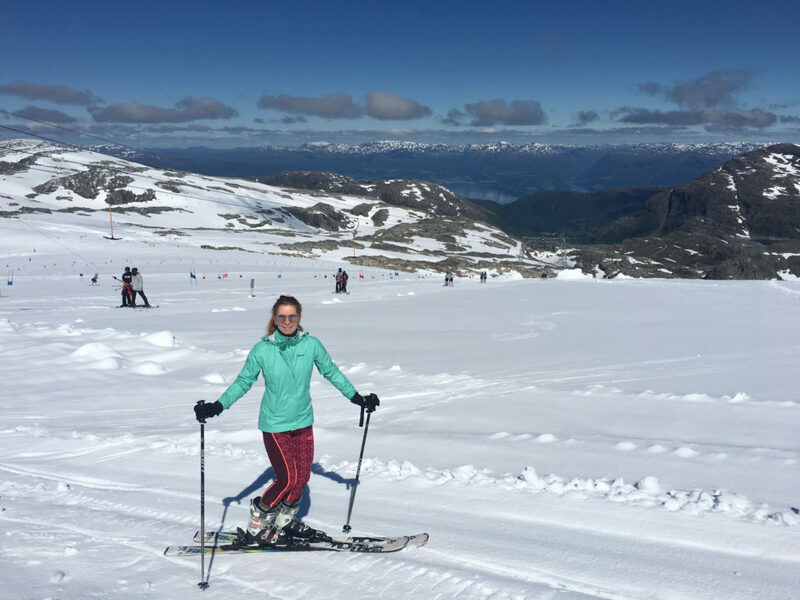 Along with a strong work ethic, Norwegians are fit and outdoorsy, cherishing their environment for recreation from young age to old. Code: no lazy fat people in Norway. If they exist, they are hidden away like trolls, or neatly swept up by the street cleaners daily. 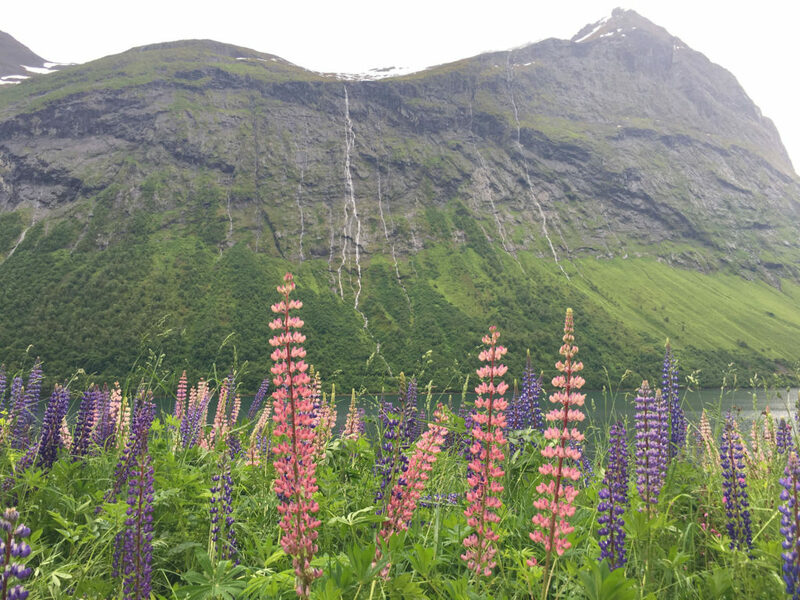 In two weeks, we hiked mountains, biked flower-filled hills by the sea, kayaked, sailed deep passages and the North Sea, skied the Fonna glacier, and swam in the icy cold fjords. 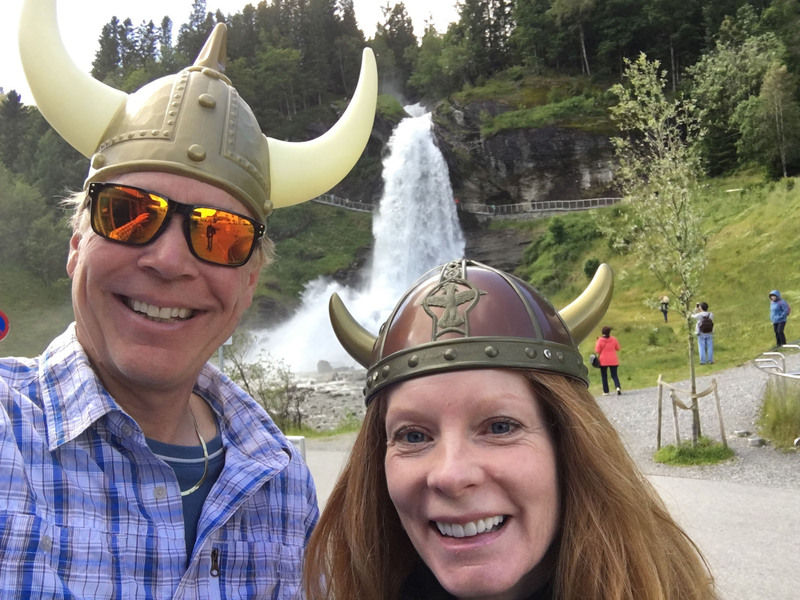 Norwegians continue to explore like their Viking ancestors and you can too. 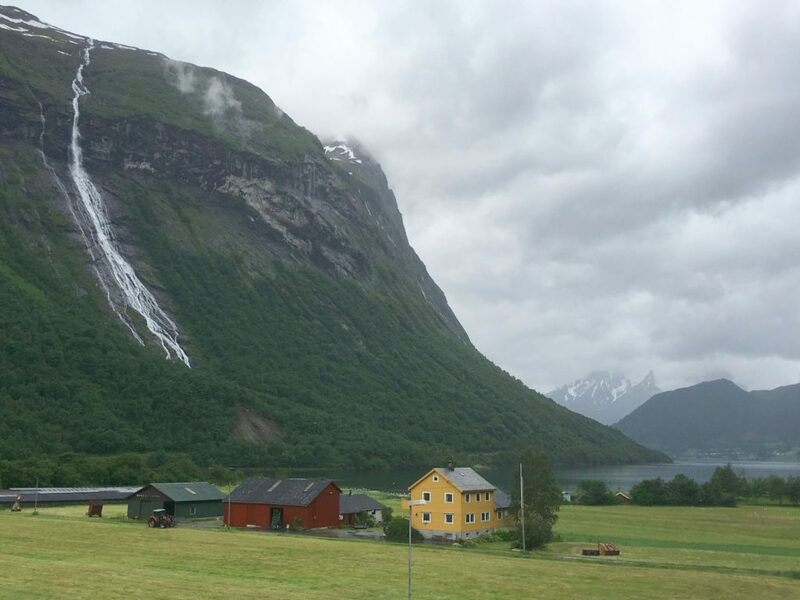 Norway has a landscape like no other, it’s otherworldly. 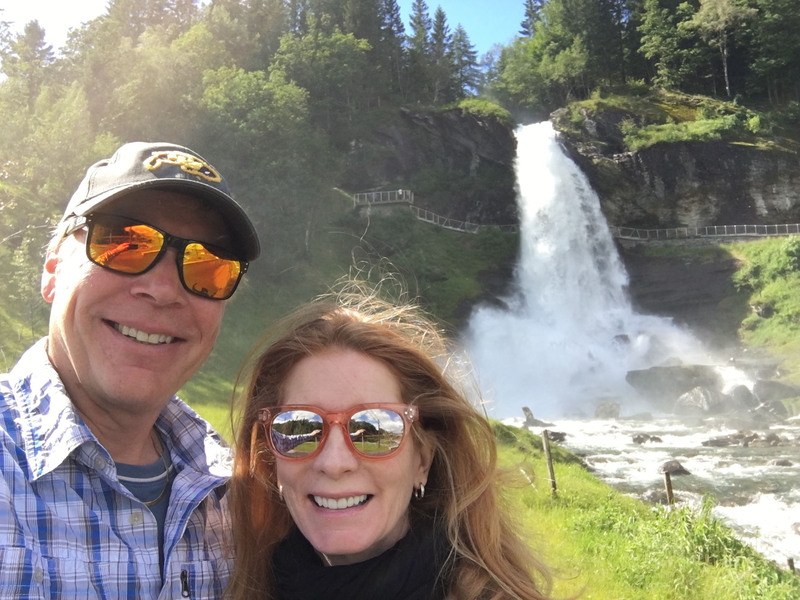 You will quickly tire of counting the country’s waterfalls, land of a thousand waterfalls is an understatement. 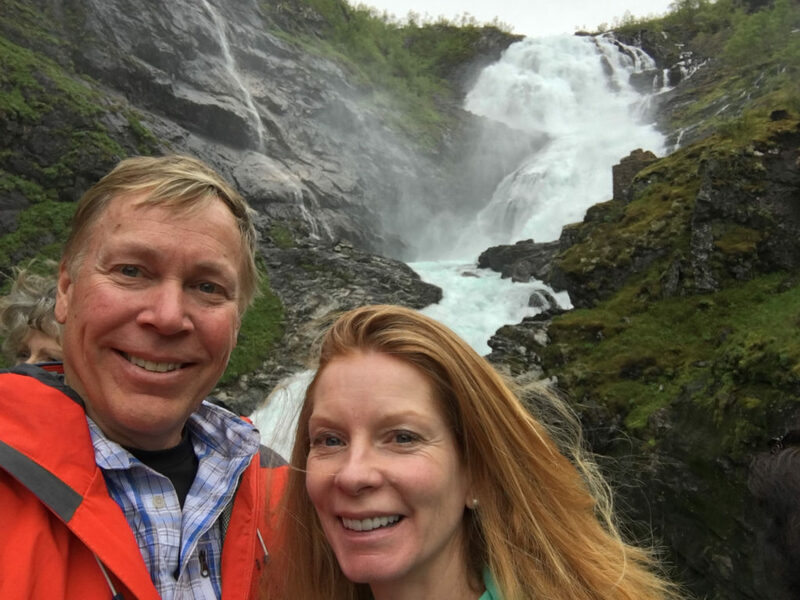 Our favorites were Seven Sisters in Geirangerfjord and Steindalsfossen in Norheimsund. 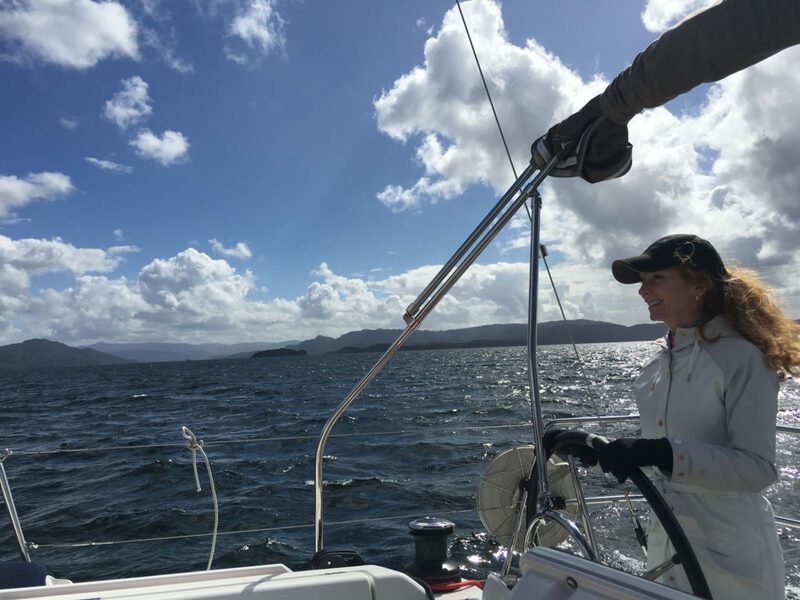 The variety of terrain… from open waters out to sea, brilliant green forests and dramatic cliffs dropping into dark blue fjords and snow fields capping soaring mountains…it is truly a photographers’ dream. 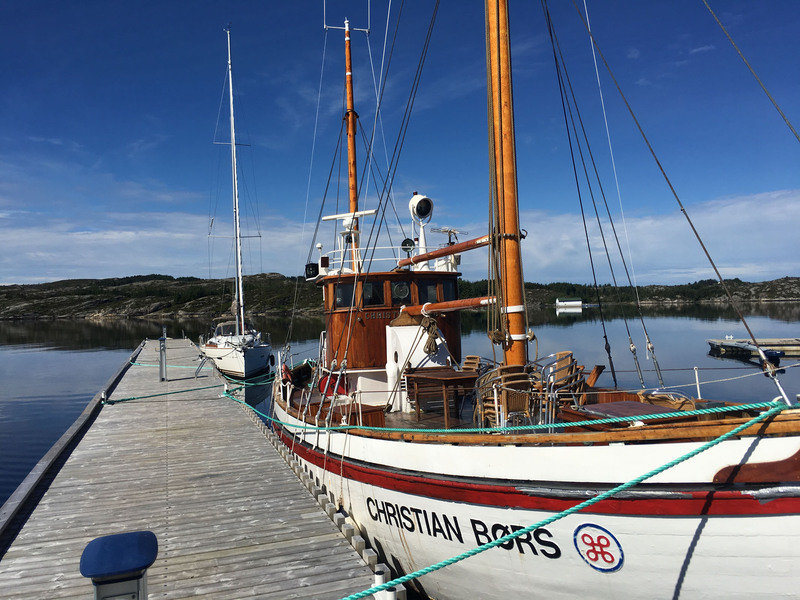 Quaint farms of grazing goats and sheep lead down to brightly-painted boathouses and fishing docks, wooden hiking huts appear near the occasional modern chalet or museum – Norway is a spectacular surprise around every corner. 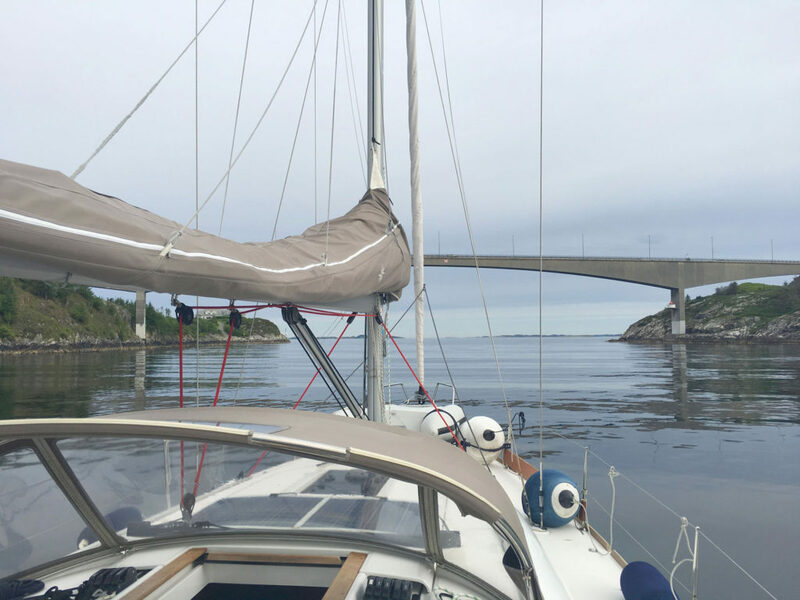 At least get on a ferry, but better yet, charter a boat to see Norway’s fjords – captained or not depending upon your yachting skill. 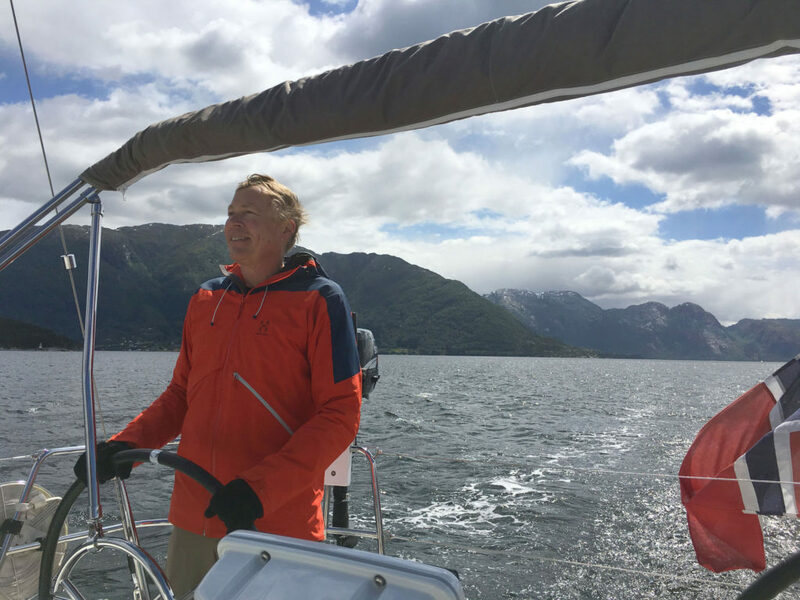 The best way to see Norway is by boat. 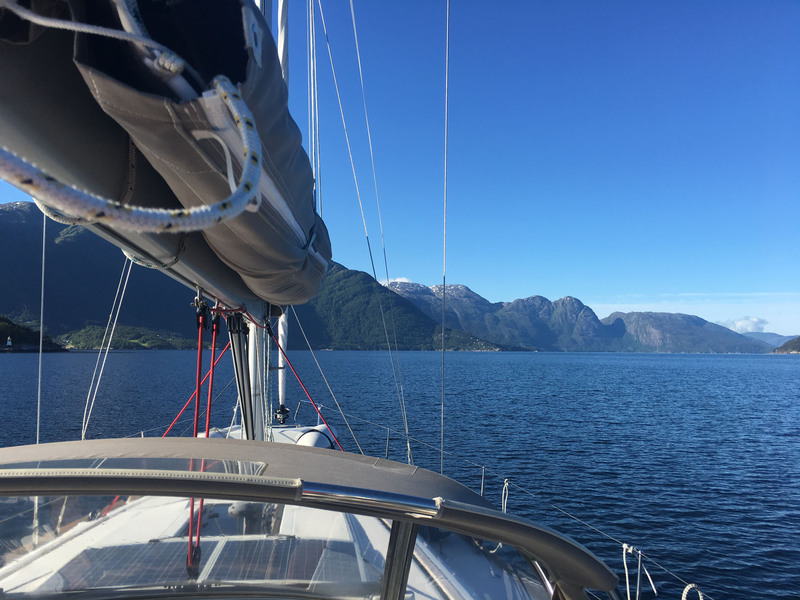 We chartered a 40’ sailboat from Nautic Charter, for a week of cruising Hardanger Fjord – absolutely the best cruising waters aboard a beautifully equipped Jeanneau yacht. 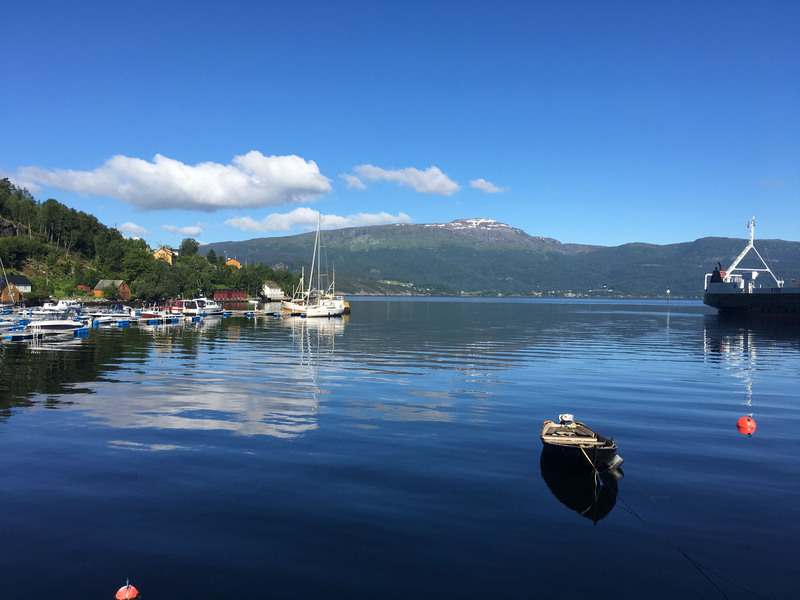 We sailed into stunning seaside towns of Rosendal, Norheimsund, and Jondal to find full service docks, and much to explore in these picturesque towns. We even skied Fonna glacier – just a half hour bus ride from the Jondal marina. 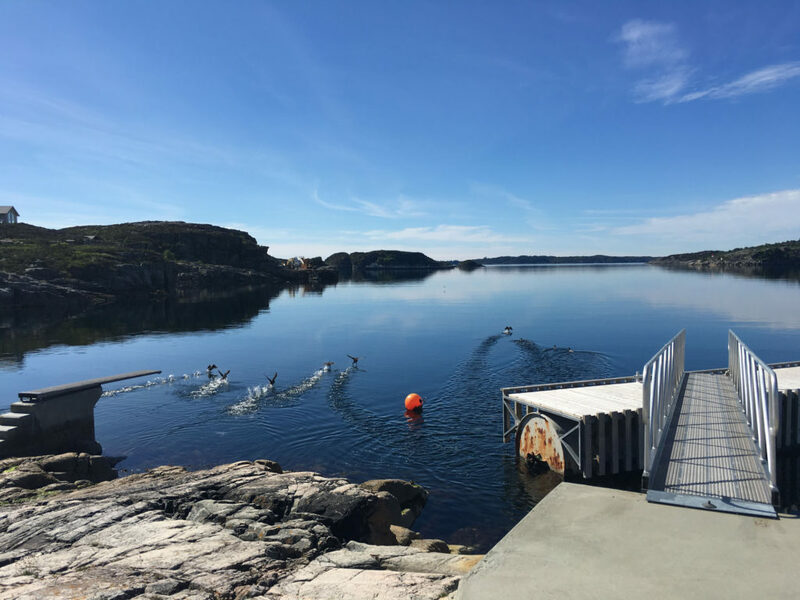 Summer in Norway, especially June, offers endless daylight to explore, as you border the Arctic Circle. 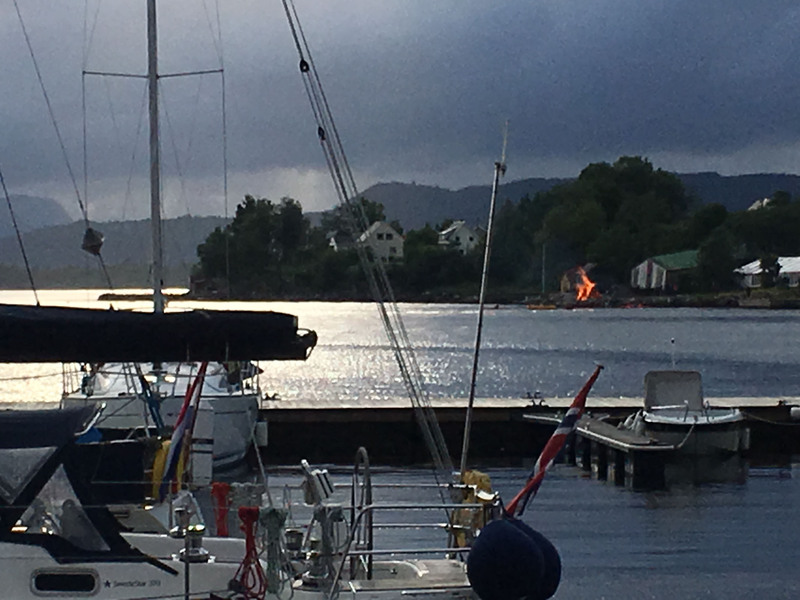 The midnight sun is an incredible sight, be it weird on your first night when you await bedtime. But this means more hours in the day for fishing, boating, and climbing. 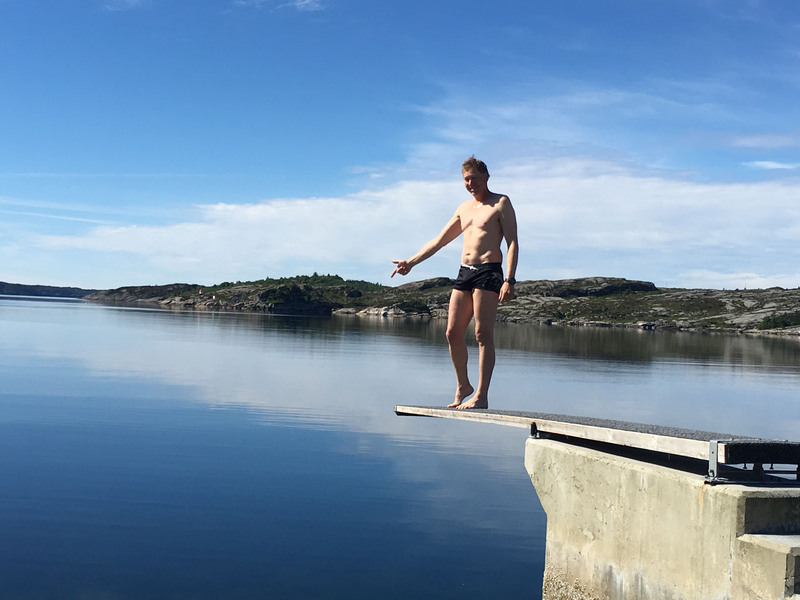 Take a cue from the Norwegians who love their endless summer days after surviving the long dark winter, seize the sun! Norway warnings: beware trolls and tolls! Visitors quickly learn why Norwegians dress in the highest quality Helly Hanson, Skostadt, Norrøna, Dale and Bergans for example. Water-wicking, well-constructed, technical fabrics and wool are not a luxury here but a necessity. 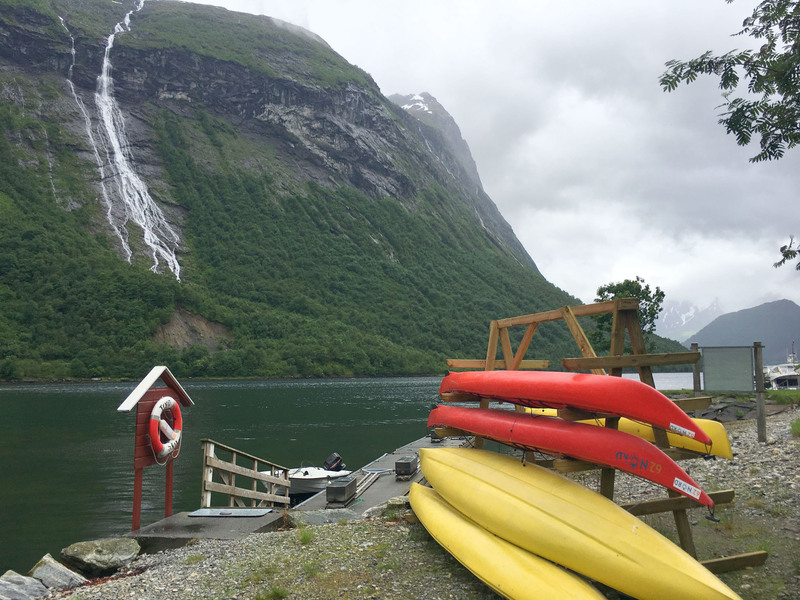 Norway’s West coast has the signature fjords, and often fierce weather. The dark secret is that summer here can be cold “wetter”. 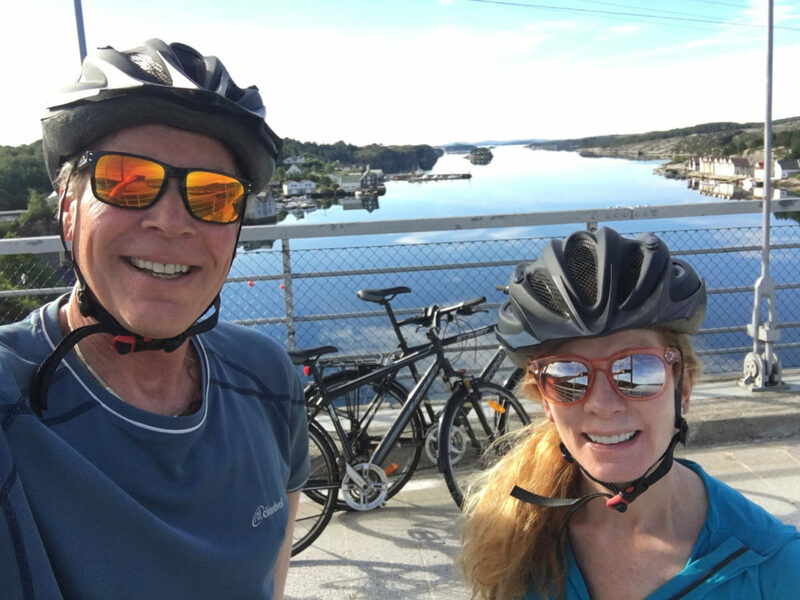 Norwegians are active, and quality outdoor gear is a must to hike, bike, boat and explore this nation at 59-66-degrees North, stretching the length of Seattle to San Diego. It’s no coincidence that Norwegian’s capitalize on outdoor gear design. Bring your wallet to Norway – one of the most expensive destinations in the world- in good company with Monaco and Dubai. This socialist nation is pricey, you must pay your share to enjoy this beautiful clean high-quality country. Hotels are expensive, drinks are too. Dining out is dear, for humble but homemade food of salmon, herring, lamb, and reindeer. 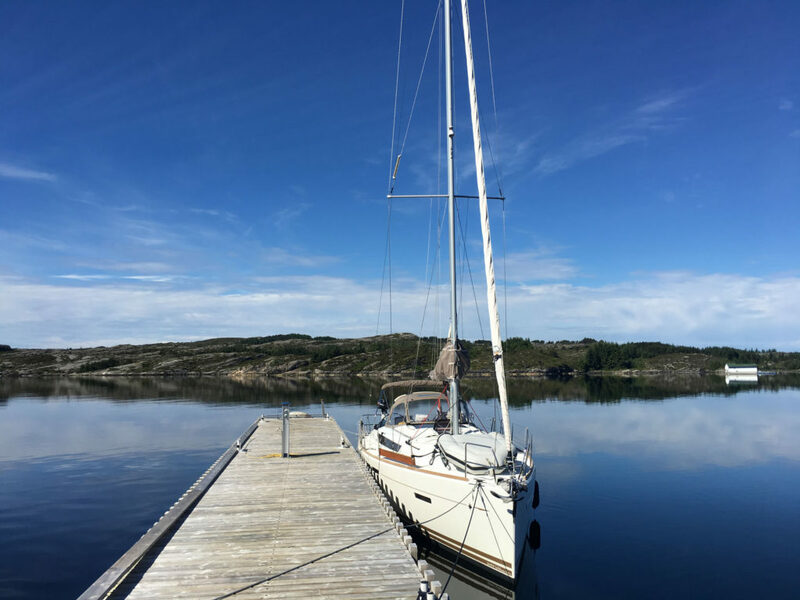 Native Aquavite is offered more freely – but you get for which you pay in Norway.